My name is Manuel and I was born in Austria in a little town called Melk. Asia has always fascinated me, ever since I can remember. I remember watching Bruce Lee and other Chinese movies as a kid and I always wanted to travel to the Far East. My professional career started in 1998 when I worked for Austria’s biggest DIY retailer Baumax. 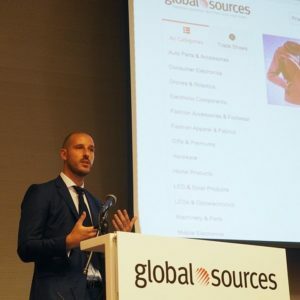 I moved to Hong Kong in 2005 when I was offered a position as an intern at their sourcing office in Hong Kong, with a staff over 200 people. For the next 10 years I worked with some of the biggest retailers in the world, developing, sourcing, and finding new products for them. These retailers included: Metro, Rewe, OBI, Carrefour, Tesco, Wal-Mart, Amazon, Auchan, Lowes, Sears, Home Depot, and many others. As you can imagine, the big retailers expect their products to do more than just conform to standards and regulations when they purchase them in Asia. They need to be of the highest standard and quality. These retailers cannot afford to have a product recalled due to quality problems or defective components. These products need to be top-notch. In those 10 years I got to know all about the standards and product requirements, and additionally I gained a lot of experience and insight working with factories in China. In the busiest seasons (April and October), I accompanied up to 30 buyers a month to exhibitions, factories, and showrooms to help negotiate, develop products, and follow up on the buyer’s requests after they were gone. I got to know all the tips and tricks for a successful trip to China.. When I eventually started my own company (Mandarin-Gear) I realised that many of my clients had no ideas about importing from China. I began to write a small guideline which quickly turned into a 65 page eBook – “The Import Bible”. As my business grew and more and more people wanted more in-depth information on the subject I created ImportDojo. ImportDojo today offers you various help for free (eBook, blog) and also in the form of a paid course. The ImportDojo Masterclass. This course is aimed at making you a professional importer in a few days, using what took me over 10 years to learn. This course is a step-by-step guide walking you through the process of importing goods from China from the beginning to the end. The aim is to take away all your worries and doubts and help you to take your business to the next level! Do you still worry about your importing business sometimes? Wouldn’t it be nice to have it run like you have been running it for a long long time already? Of course it would. Business feels great once routine settles in. 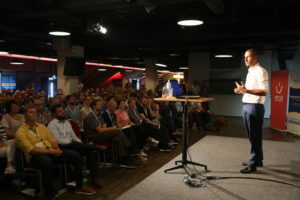 This is exactly the point I want to get you to and with this case study you can see a complete product launch that starts from finding the right product, the right supplier and shipping it to Amazon, promoting and selling it. Every little step is documented with a video (over 50 video tutorials) in my newest Case Study that shows my screen and you can even listen to me talking to suppliers. Best thing about this, I’m using my own money and will try a lot of different things so you can see what works and what doesn’t and learn all this without running your own trial and error experiments. If you don’t sell yet, simply sit back and watch the whole process and you can leave all your worries and anxiety behind. Feel confident to launch your own business and become financially independent or simply make your existing import business more efficient. This is it! Can’t be easier! Starting with Alibaba, you’ll get to know about importing procedures, dealing with factories, finding your products, inspecting and shipping your goods, and finding out what legal import requirements your products need. I also run a sourcing operation together with my business partner over at Asiainwest. I hope you enjoy reading all details and invite you to become part of our community. I hope it will help you the same way it has helped many others. Manuel on US Import Duties & Taxes – How much and when do I have to pay for import tax? WAIT! 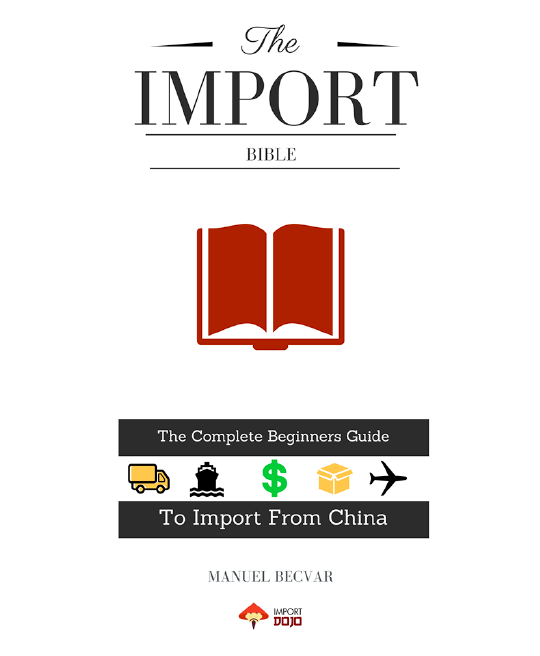 Get my Import Bible 2019 edition for free! The complete beginners guide to importing from China. FREE! !